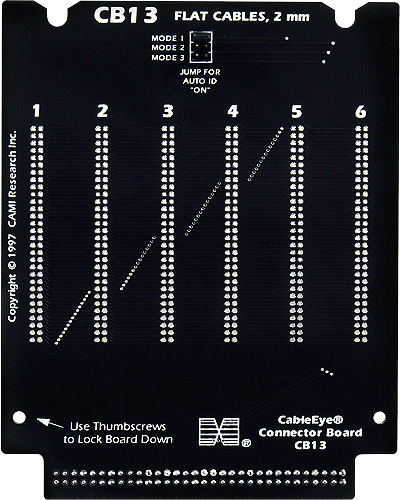 Each board includes connector positions for 2 mm single- or dual-row headers up to 60 pins. Six identical connector positions are available. Because 2 mm connectors come in many different arrangements for both single and dual row, we provide a standard set of connectors in a separate package, unsoldered, so Users may configure the board as best suits their needs (see photo of connector kit at bottom). A single position will accept two headers, one top-justified and the other bottom-justified, if the combined length can be accommodated by the height of that position. 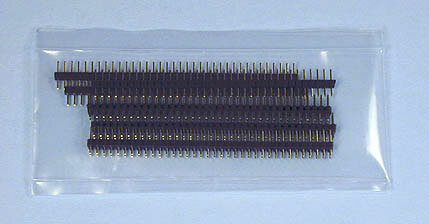 Single-row headers may be mixed with double-row headers. For each board, the unmounted connector package includes three 72-pin dual-row breakaway headers and three 36-pin single-row breakaway headers. Software for connector graphics self-adjusts to measured wiring. Set of two boards.